This morning I got an email from the Journal of Product Innovation Management that they have typeset and published online our lit review on inbound open innovation. The West & Bogers article was accepted in December 2012, and (as best we can tell) will appear in July June 2014. Editor Gloria Barczak and (accepting editor) Tony Di Benedetto have been working hard to clear the journal’s considerable backlog. Other than a few corrections introduced with the typesetting, there’s one change from the version posted to SSRN (and already cited): we changed Table 3 to Figure 2. 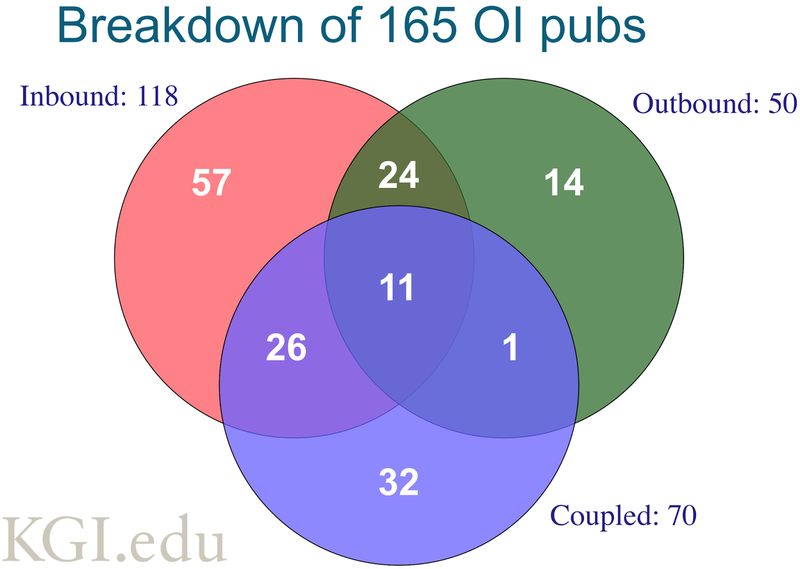 By having to summarize the paper to ACAC last May, I found that I had trouble understanding the table (that I’d made) and found the Venn diagram approach much less ambiguous: hence the new Figure (designed in color for my ACAC talk, but printed in B&W in the journal). In discussing the paper with authors of other OI works — and reading how they use it — it seems as though the interest is on three topics. One is the summary of the 165 open innovation papers (listed above). Finally is the conclusion that research is particularly light on the second and third phase: how external innovations get into firms, and how these innovations are commercialized differently (or similarly) to internal innovations. We are already seeing research agendas influenced by the latter findings. This version of the article also has the online appendix, which lists all 151 inbound or coupled articles used in preparing this literature review. We asked JPIM to let us publish this online (which is not something we’d seen in this particular journal before). 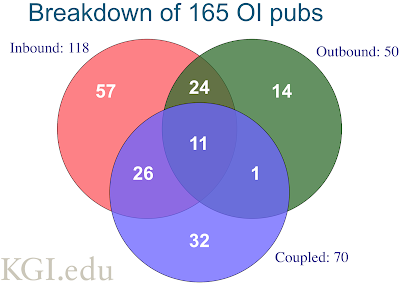 We felt this was important to share with future researchers, both so they would know what inbound (and coupled) literature was written during the period in review (2003-2010), and so everyone see which research we classified as falling in these categories. We started working on the paper in June 2010: it’s hard to explain to a non-academic why it will be more than four years from when we started the project to when it was published (some of that, of course, being due to deficiencies in the early drafts). Still, it’s gratifying to have the paper out there and being read by those we hope will find it valuable.